The Volkswagen Touran is a compact Multi-Purpose Vehicle (MPV) launched over ten years ago – in 2003, to be precise. If you want to sell your Touran because it’s aging, worn out, faulty or damaged, the team here at Scrap Car Kings can help! Scrap your VW Touran with us – we’ll strive to give you a great price for it. The VW Touran is available in both five-seat and seven-seat versions, and so it can be useful for transporting families or other large groups. However, its design can arguably best be described as practical rather than stylish, which means it can lack the ‘wow’ factor enjoyed by some other MPVs on the market. Selling your Volkswagen Touran to us could help you fund the purchase of a more impressive car. When your Touran is scrapped, it’ll be recycled to the highest standards. It’s not just the design that may leave you feeling underwhelmed and eager to sell your VW Touran for scrap. The time has likely come to scrap a VW Touran if it’s been involved in an accident or is developing problems. Don’t delay – scrap your unwanted Touran with the car-scrapping experts here at Scrap Car Kings today! Problems reported with early Tourans include the thickness of the A pillars obstructing the driver’s view. This design flaw is bad enough to create blind spots, which is hardly likely to make driving a VW Touran a stress-free experience. If you’re fed up with problems like this, why not sell the Touran? The pipes leading to a Touran’s window washer jets may crack, leaving them unable to provide water. Another common issue for Touran drivers is the footwells getting soaked – that’s been blamed on faulty air conditioning drainage. The pads in early VW Tourans tend to wear down at a disappointingly fast rate, as the brakes don’t release particularly quickly. That increases the fuel consumption. Owners of some Tourans produced fairly recently have encountered faulty flywheels. An affected flywheel suffers premature wear and tear, attributed to the effects of the engine’s start/stop feature. The issue can be a huge headache, especially if the Touran’s not under warranty, as replacement flywheels are often very costly. Scrapping your Volkswagen Touran is surely a better option than letting it drain your bank account! 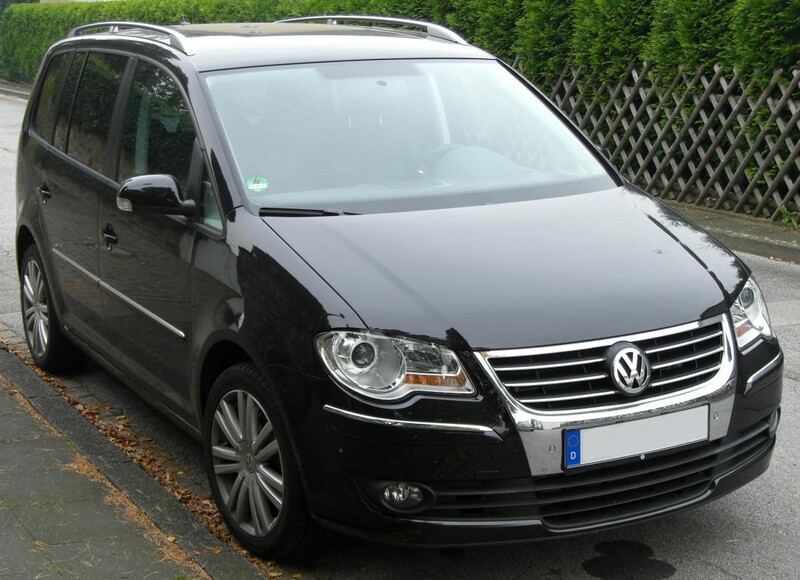 Selling your VW Touran to us is a fantastic way to earn money. If you’d like to find out how Scrap Car Kings can help you, please call our team today on 07944 495 495, or visit us online for a free, no-obligation quote.